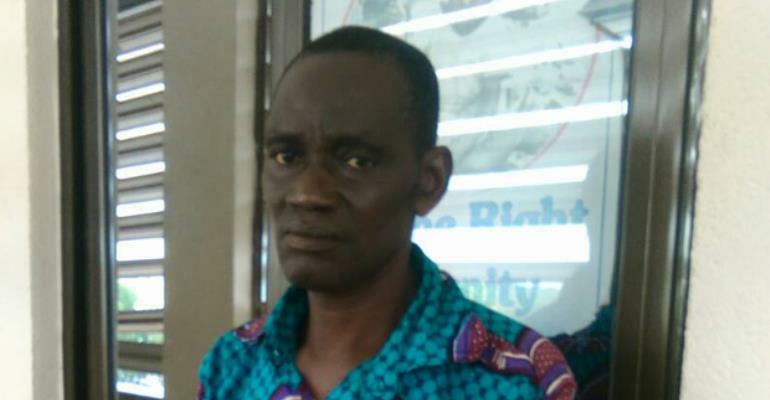 A 63-year-old man has been arrested by the Anti Human Trafficking Unit of the Criminal Investigations Department (CID) of the Ghana Police Service for allegedly attempting to sell his nine-year-old granddaughter for GH¢100,000. Midaho Agbodzi was allegedly about to hand over the girl (name withheld) to the buyer at Danquah Circle in Accra when the police arrested him. He was said to have gone to a village in the Volta Region to pick the girl, who was living with one of her aunties, but police intelligence led to his arrest. The Director-General of the Criminal Investigations Department (CID), DCOP Maame Yaa Tiwaa Addo Danquah, who briefed the media on the matter, said the incident happened on February 22, 2018 when the Anti Human Trafficking Unit had information that Agbodzi was offering his granddaughter for sale. Intelligence gathered indicated that the suspect had actually contacted some people to help him to get a buyer. Police then feigned interest and approached the suspect for negotiations. Suspect Agbodzi agreed to meet the buyer at the Osu Danquah Circle area to conclude negotiations. DCOP Addo Danquah said the suspect agreed to bring along the child so that after payment had been done, he would release her to the buyer. The police personnel in mufti from the Anti Human Trafficking Unit led by Superintendent Mike Baah, were dispatched to Osu to meet the suspect and his granddaughter for the deal. At about 2pm that day, the suspect met the undercover policemen and after concluding the negotiations, the suspect handed over the girl to them. The suspect was about collecting the money when the police apprehended him. The CID boss claimed that preliminary investigations later revealed that Agbodzi, a resident of East Legon, was the one initially taking care of the victim when one of his daughters came to pick her to the Volta Region to live with her. Recently, the said daughter called the father (suspect) and demanded GH¢50 to pay the girl’s school fees, but he told his daughter that he had no money. The director general of CID admitted that the suspect was in their custody assisting in investigations.